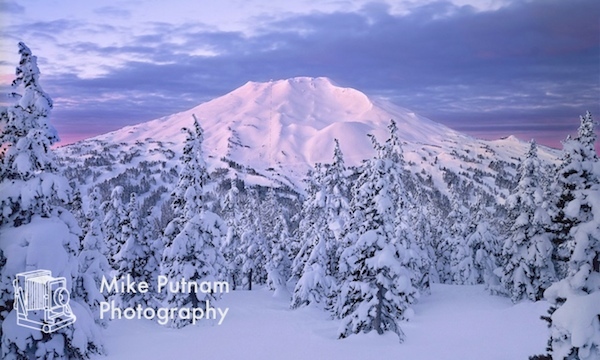 The Best new Oregon Landscape Photos for 2014! I’ve never done a year in review post before and frankly, the idea scared me. Not because I am not proud of my work, I am quite proud. My trepidation stemmed from the fact that, in most years, I don’t put out a lot of new work. Please don’t perceive this “lack of new work” as a lack of effort. I get into the back-country several times per week for most of the year, I just don’t find many wilderness scenes that I feel fit my portfolio. As I assessed my new work for the year, I realize that I did have lots of new beautiful, fine art prints and that I was actually very proud of them! 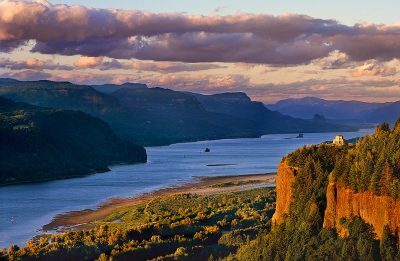 The following image of Oregon’s Mt. Jefferson is one of my favorites from 2014 and it is a landscape photograph that can never be precisely duplicated. There will be plenty of other beautiful images of Mt. Jefferson as it is a wonderful subject for landscape photographers but capturing lighting conditions like the ones seen in this beautiful fine art print of Mt. Jefferson, will take some phenomenal luck. I have never seen lenticular clouds stacked up over Oregon’s cascades like this except for this evening. Captured on the Fourth of July, 2014, this image of Mt. Jefferson is definitely one of my best of the year. It seems that, during 2014, I was especially attracted to locations that for me, had a mystical and spiritual feeling. 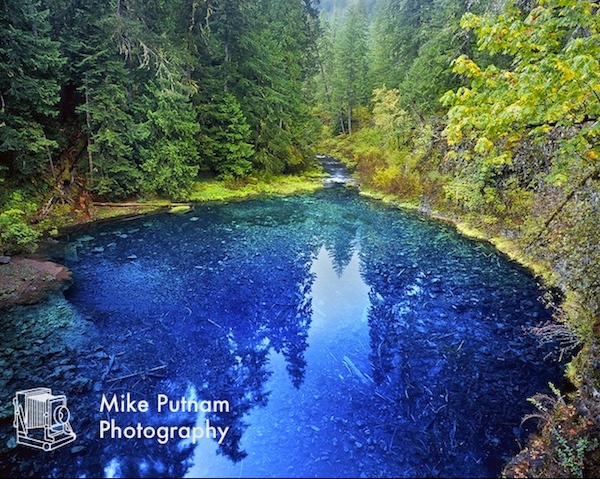 The following photo of the “Tamolitch Pool” on Oregon’s McKenzie River is definitely one of those spiritual locations. Amazingly blue water, cold springs and a gorgeous natural setting make this feel like Mother Nature’s cathedral. The Tamolitch Pool is definitely a bucket list hike for Oregon’s outdoor lovers. The Tamolitch Pool is a place that has a feel more than it has a look. The amazing clarity of its blue water, and old growth conifers framing this natural basalt amphitheater must be seen to be understood. For more information about Tamolitch Pool, visit here, Tamolitch pool hike. Another new print that I introduced during 2014 was captured a little closer to my home in Bend. To be more precise, this beautiful photograph was captured about 22 miles from my home. Tumalo Mountain has long been a favorite of Back country snow riders who choose to avoid the lift lines of nearby Mt. Bachelor. In addition to being free to riders, Tumalo Mountain has what may be my favorite view of Mt. Bachelor. I’ve shot Mt. Bachelor countless times over the years but this was definitely my best winter photograph of Mt. Bachelor to date. It has been very popular print for my my fine art photography collectors and I even produced a poster from this image which can be purchased here, Mt. Bachelor Poster. Mt. Bachelor is a beautiful photographic subject any time of year and winter is no exception. In addition to my beautiful poster of Mt.Bachelor, I also printed some lovely greeting cards of Mt. Bachelor that were derived from this new print of Mt. Bachelor. Not far from Mt. Bachelor are the headwaters of Central Oregon’s magnificent Deschutes River which arises out of Little Lava Lake, located along the Cascade Lakes Highway, south of Bend. The Deschutes flows through several high elevation lakes as it gains speed as it flows North towards Bend. One of my favorite hiking and Photography destinations in the Bend area is the Deschutes River Trail, not far from Bend. It has many convenient trail heads for hiking and Mt. Biking adventures. 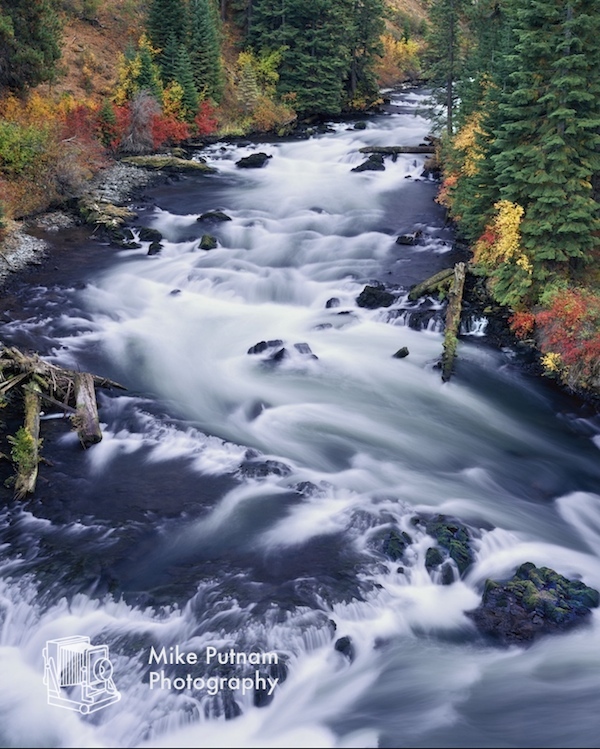 In its autumn glory, the Deschutes River Trail can be truly stunning and this new 2014 prints captures a bit of that glory. 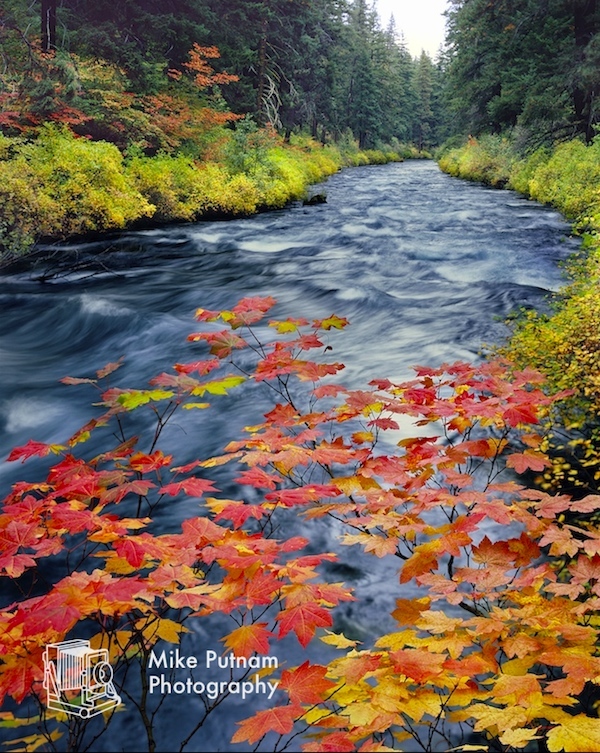 I love the flow patters in this image as well as the fall color. I seem to have gone through a strong “Deschutes phase” during 2014 as I captured three new prints of the Deschutes during the past twelve months. Technically, the Upper Deschutes River lies between its headwaters and the town of Bend, the Middle Deschutes lies between the town of Bend and Lake Billy Chinook and the Lower Deschutes River is located between Lake Billy Chinook and the confluence of the Deschute River with the mighty Columbia River. Below is another new print captured on the Middle Deschutes River. It capture much of what I feel embodies Central Oregon. 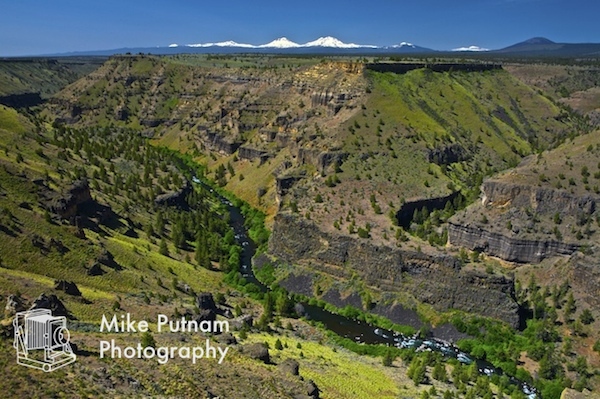 The Deschutes River, the snow covered Three Sisters Mountains, Bluebird skies along with arid desert canyons all help to personify Central Oregon’s topography and this new print captures them all in one image! While the “green season” is short along the Middle and Lower Deschutes, it is also quite beautiful! Although the Middle Deschutes River has dangerously low flow levels during summer the months, it gains volume as it flow north towards the Columbia. Below Lake Billy Chinook, the Lower Deschutes becomes one of the United States’ premier Steelhead Rivers. It also becomes very rugged, remote and beautiful. As any avid Oregon fly-fisherman can attest, the Lower Deschutes River can be quite mesmerizing any time of year but is especially so in spring. 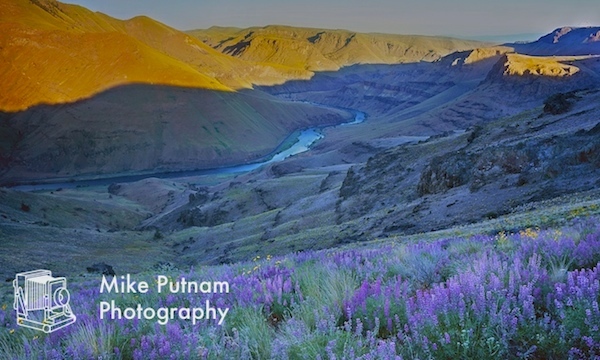 I captured this special print at the height of the Lupine bloom, near the river city of Maupin. The gentle S- curve of the Lower Deschutes, warm morning light bathing the canyon walls and an eruption of spring wildflowers make for a welcome addition to My “Deschutes River Basin” collection. For a little more information about this image, visit this previous blog entry, Lower Deschutes River. Although a bit distant from my base camp of Bend, Abiqua Falls is an excellent side adventure for Central Oregonians traveling to or from Portland. Abiqua Falls is found is a stunning natural basalt column amphitheater, laden with moss and rich with the aromas of organic matter. Both vertical and horizontal versions of this Abiqua Falls print are available and they are both beautiful. Also located in the drainage basin for the Willamette River is one of my favorite destinations, Scott Lake. 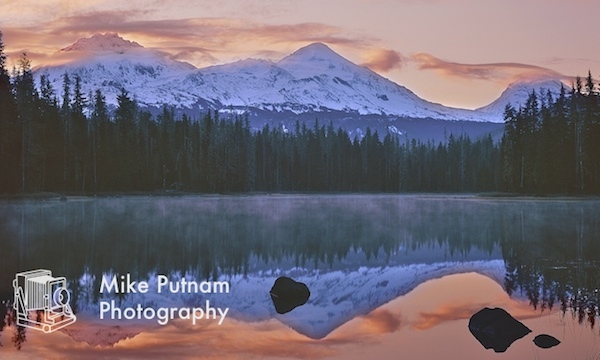 As a Bend Oregon Photographer, Scott Lake is a bucket -list destination. Scott Lake is beautiful during all seasons but especially so during Spring and Autumn, when the lake is no longer frozen, allowing for a reflection of the glorious Three Sisters Mountains. Most visitors to Central Oregon are more familiar with the traditional westward facing view of the Three Sisters Mountains but the view of The Three Sisters from the west and facing east is equally stunning, especially from Scott Lake. The snow covered Three Sisters Mountains, reflected is a placid, mist infused Scott Lake is one of my favorite new prints for 2014. 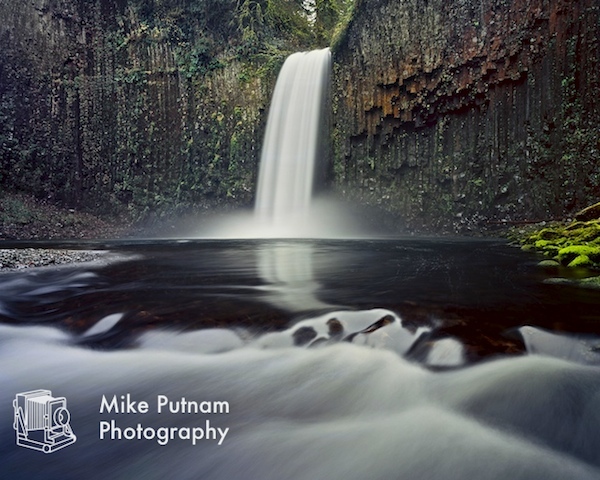 As you may know, all of my Oregon fine art landscape photography is captured using my large format camera. 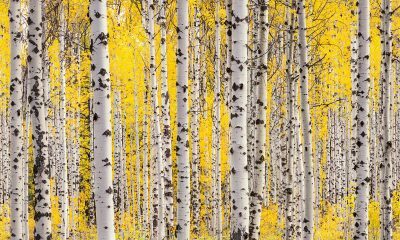 My camera allows me to capture and create finely detailed, immaculate prints which exceed anything I could create with a digital camera. 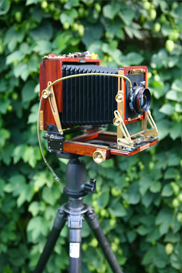 Unfortunately, my large format camera can be a bit…clunky. Composing a scene can be time consuming which is stressful, especially when magical light is fleeting. Not knowing if my exposure was appropriate for up to two weeks can be exasperating, which generates extra stress when I’m shooting a beautiful and unique scene, like this one of the Three Sisters and Scott Lake. I will never see the same clouds again, which makes me cherish my process and my successes along the way. 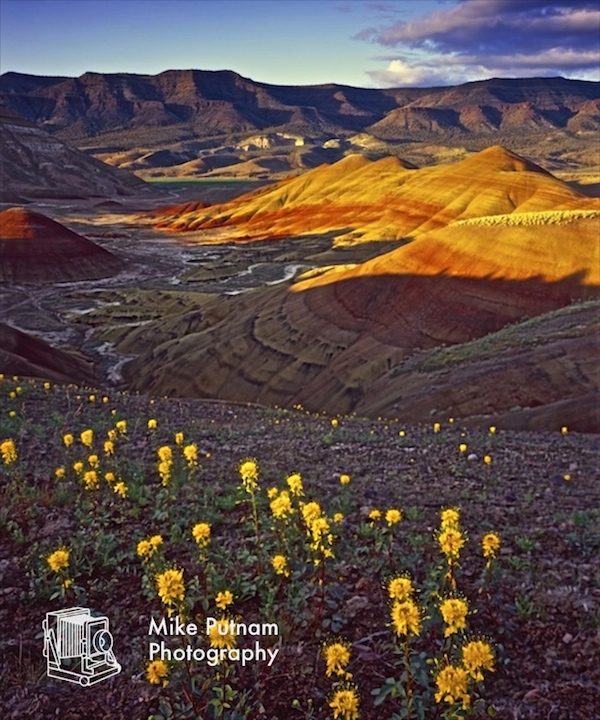 The clay-like formations at the Painted Hills unit of John Day are always otherworldly but golden bee plants(Cleome platycarpa) have a very limited bloom period, making this a rare new print of one of my favorite locations in the Oregon high desert. The juxtaposition of the Painted Hills and the following print of Bend’s Tumalo Falls is a good illustration of how diverse Central Oregon landscapes can be. Only 10 minutes from Bend, the iconic Tumalo Falls could not be more beautiful nor could it be more different than the painted hills. 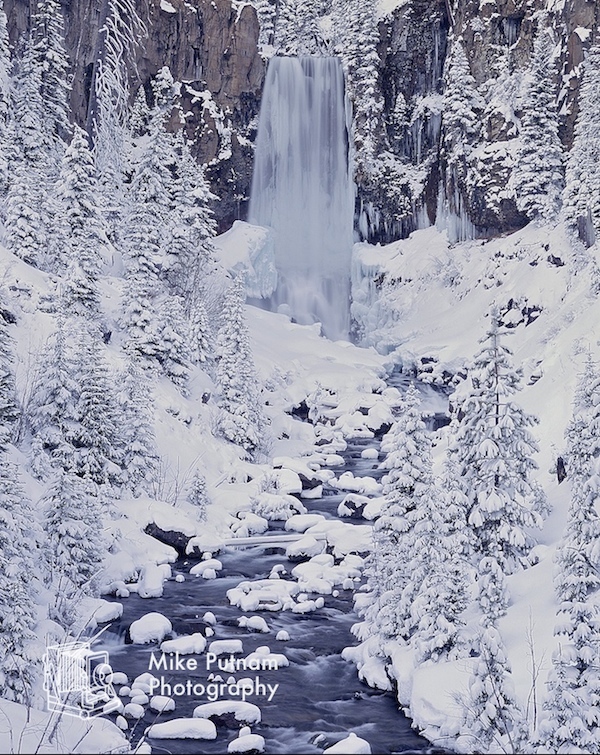 Perfect snowy detail, and excellent subject matter made for a great new Landscape photograph Of Tumalo Falls in winter. Located near the Central Oregon community of Camp Sherman, the Metolius River is quite simply, one of my favorite places on earth. I’ve worked for two years trying to capture this exact image of the Metolius River and finally the photography gods cooperated! Metolius River. One of my stated goals as a fine art photographer is to honor the beautiful places that I am lucky enough to explore. I enjoy the knowledge that those who aren’t fortunate enough to hike or travel to beautiful places like the Metolius River can enjoy the majesty of these place through my photography. I get lots of notes to this effect and they make my day every time I get one! 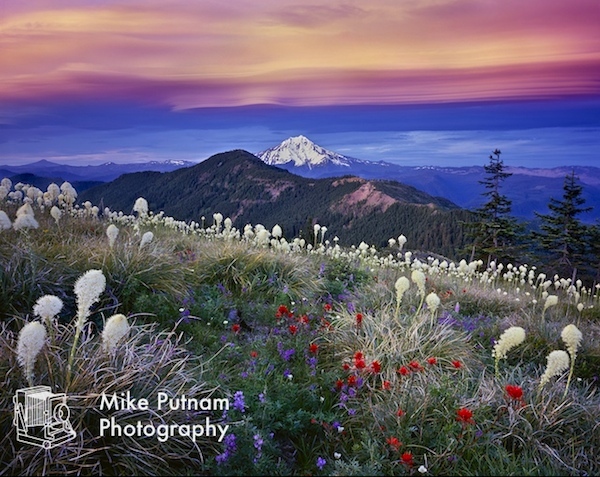 This beautiful image concludes my Best of Oregon landscape photos for 2014! Please leave any comments in the comment section below. Additionally, if you have any suggestions where I might capture the next great Oregon Landscape Photograph, please let me know! Thanks for reading and I hope 2014 was as wonderful and beautiful for you as it was for me!